Dated from 1917 on, Wetzel County vital records are available to family members from the West Virginia Health Statistics Center. Public records ordinarily include birth records older than 100 years and records older than 50 years for death and marriage. The cost is generally $12. Records dated before 1917 are maintained by the Wetzel County Clerk. 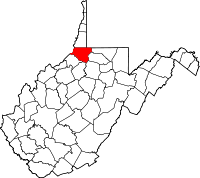 Wetzel County was created in 1846 from Tyler County and named for frontiersman Lewis Wetzel, who was born in modern West Virginia. He was known as a zealous killer of Indians, managing to escape punishment for attempted murder and murder of "friendly" Indians.